One of the more difficult but basic money skills is understanding how to make change, and knowing how much change you will receive when spending money and purchasing an item or items. Use these worksheets and lessons to help your students learn how to make change. Practice is available with coins and bills. Learn to make change for a dollar. Teach by creating your own money worksheets and Interactive lessons. Please note that making change requires more advanced money skills. Prior to using these lessons, students should have mastered our other more basic money categories, including identification, coins, and bills in our main counting money lessons category. Students practice with getting change and food prices. Answer how much change is received when spending money on food items using coins. much will you get in return? Practice counting and making change with COINS AND BILLS. How much change should be given and how much will you get in return? Learn making change for a dollar and counting back money. One, Five, Ten, Twenty, Dollar Bills. Includes American and Canadian currency. be able to identify how many coins equals a given dollar amount. Use this worksheet lesson to help students learn this money concept. Students act as the cashier using this interactive game to help practice giving or making change.. In this lesson you are the cashier responsible for giving change. Students identify different coin combinations that equal the same amount. For example, identify two different ways to make change for a dollar. Random worksheet includes multiple configuration options. American, Canadian, British and Euro Coins. Includes Canadian and British dollar and two dollar (loonies and toonie) coins. Some students have difficulty with giving and making change. With this lesson, students practice giving the correct amount of money by rounding up, which is a simplified method for counting and making change when spending money. 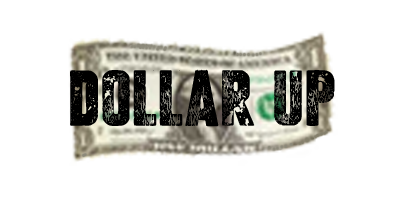 Use this interactive game to help reinforce the next dollar up, rounding up, or one dollar more method. Students practice rounding up to the nearest dollar. Worksheet uses only coins (no numbers). Students practice at determining how much change will be returned. matches the change given in the question. Practice making change by using the counting on technique - counting coins, writing, and adding up the respective amounts. Counting on is a technique that can be used to learn how to give change. Includes Pennies, Nickels, Dimes, Quarters.